o celebrate Vista’s 15th anniversary, we are shining a spotlight on someone who started his or her employment with Vista across each of the 15 years. While in the Boston area completing her undergraduate degree at Northeastern University, Nora entered into a Cooperative Learning program that allowed her to complete the necessary credits while simultaneously working in the field to apply her course studies. One of those work placements turned out to be an education setting for children with disabilities that utilized Applied Behavior Analysis, and from that point on, Nora was hooked. 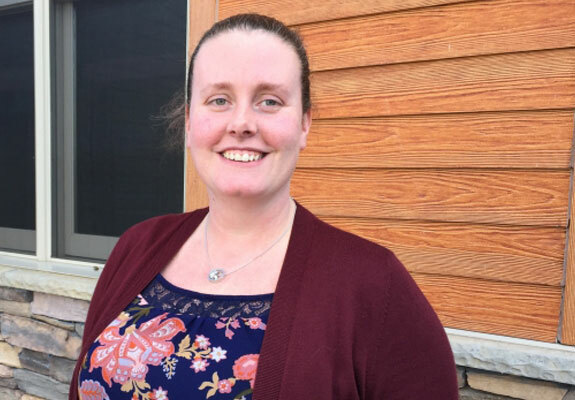 When she and her now-husband began looking for employment in Central Pennsylvania, she stumbled across Vista’s website and applied for a position as a Behavior Technician, officially beginning her employment on August 28, 2005. What was Vista like in 2005? Though she started her career at Vista in direct care, Nora dreamt of becoming a Behavior Analyst and pursued a master’s degree from Penn State University and ultimately achieved her goal. She moved into the positions of In-Class Coach, Behavior Consultant, Program Coordinator, and currently holds the title of Classroom Coordinator, with a specialty in toilet training. Starting with one student who had been struggling to learn the critical life skill of toilet training for more than two years, Nora joined his team on a mission to help him succeed and soon became an in-house expert. Now having presented on the subject at the Maryland Association of Behavior Analysis, the Pennsylvania Association of Behavior Analysis, and the National Autism Conference, Nora is a respected professional in her field, but finds the most satisfaction in seeing others come up through the ranks. Watching student outcomes affected by the adult learners she herself helped to shape has become her passion. “Something I try to do and take very seriously is mentorship. I love to see staff I work with earn different opportunities that make them feel more fulfilled. The beauty of Vista’s growth is that there are always new and different opportunities for everyone, and I find that reinforcing.